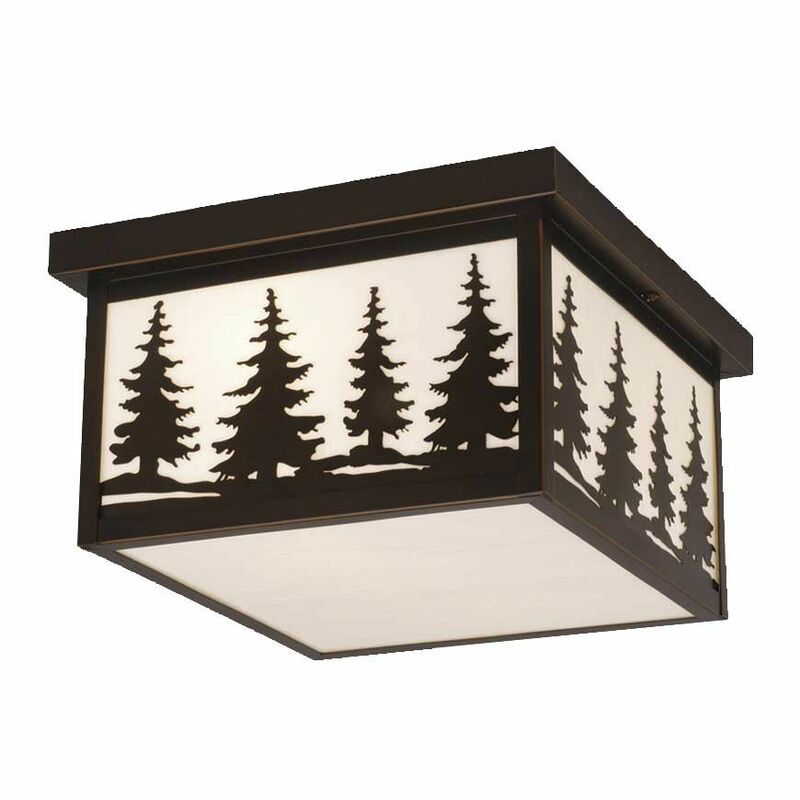 Shed light on your gatherings with the Big Sky Outdoor Flush Mount Ceiling Light. Combining metal pine tree silhouettes with a sleek, simple design, this ceiling light gives your home's exterior a charming woodland look. Finished in burnished bronze with a white Tiffany glass shade and uses two 75-watt max bulbs. UL listed for damp locations. Measures 11 1/2"W x 6 1/2"H. ~ Ships from the manufacturer. Allow 1 week. Cannot express ship.